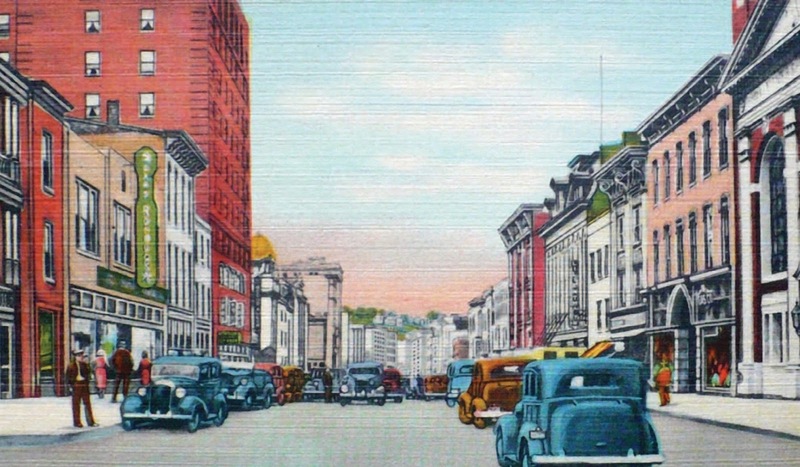 “Main Business Centre, Pottsville, PA,” c. 1940, vintage postcard printed on linen stock. O’Hara reimagined Pottsville as Gibbsville in his Pennsylvania fiction. Two of the mainstay stores on this block were Sears & Roebuck (on the left) and Lilienthal's Specialty Shop, a department store. 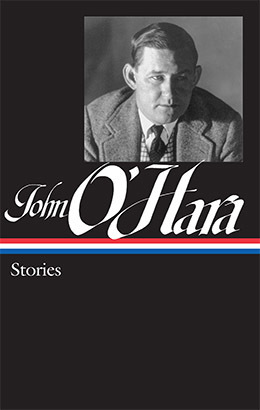 Dialogue is the most important aspect of an O’Hara story—he always got the vocabulary, phonetics, cadences, and syntax just right, no matter what socioeconomic group, from the money class to the upper middle class, to ordinary working people and even show-business types. This skill enabled him to conjure up a vivid character in brief space. O’Hara supplemented his ear for dialogue with a keen consciousness of social trappings, for instance, the cars, the neighborhoods, the kinds of dwelling. In “Christmas Poem” (1964), one O’Hara’s Gibbsville stories, Billy Warden has returned home from college for the holidays. The story contains two stretches of pitch-perfect dialogue: an extended scene of family banter around the dinner table, followed by Billy’s post-adolescent preening among his old high school buddies. McGrath singled out this story among O’Hara’s late writings as “a story of late-adolescent unhappiness and frustration that ends on a note of piercing sweetness” and chose it to close the sixty stories and novellas in the Library of America collection. We present it here, in full, as the final Story of the Week selection for 2016, along with our best wishes for the holiday season. Billy Warden had dinner with his father and mother and sister. “I suppose this is the last we’ll see of you this vaca¬tion,” said his father. . . . If you don't see the full selection below, click here (PDF) or click here (Google Docs) to read it—free!